Located in Horsham, Cisswood House Hotel is in a rural location, within a 10-minute drive of Nymans and High Beeches Garden. This romantic hotel is 13 mi (20.9 km) from Surrey Hills and 4.2 mi (6.8 km) from Horsham Park. Horsham is a large market town in West Sussex, a county in southern England. The town and the surrounding countryside are brimming with activities and fun days out for all the family. 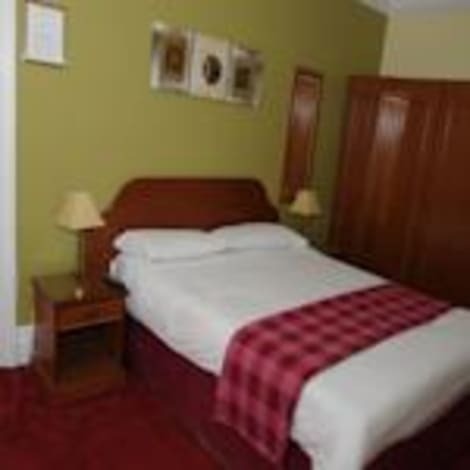 Moreover, your Horsham hotel is within striking distance of some of the biggest cities and towns in the region. Start your day with a visit to the Horsham Museum and Art Gallery for an exploration of the town's illustrious past and exciting present. This quaint little museum has a number of exhibits dealing with Horsham's social history and evolution, from a small village to the commercial hub it is today. The museum is free to enter, though a small donation is encouraged. The kids will love the exhibition on the history of toys, while there is also an amazing section dedicated to the great Romantic poet Percy Shelley, who was born in the town. If weather permits, make sure you head out to Huxley's Birds of Prey Centre, on the Brighton Road, on the way out of town. Even those of you who are not ornithologically inclined will not fail to be impressed by the array of beautiful birds who call the centre home. Friendly and knowledgeable staff will tell you all you need to know about these feathered birds, while there are flight shows throughout the day showcasing all of the bird's phenomenal talents. For those who are interested in nature of a more serene kind, the centre also has wonderful gardens that are perfect for an afternoon stroll. If you're after some more grown-up fun, Horsham is home to the award-winning Darkstar Brewery. The brewery offers excellent tours, which include practical demonstrations of the entire brewing process. And don't worry, the tour concludes with a practical demonstration of the drinking process too! Just outside the town is another treat you might want to keep to yourself. Mannings Heath Golf Club is located in 500 acres of stunning Sussex countryside and is home to two different championship courses. The 17th-century clubhouse alone is worth a visit even without the immaculate links. All of these combine to produce a uniquely lovely golfing experience. Once you have regrouped at the hotel, head out to one of Horsham's excellent restaurants for a delicious end to the day. For a sophisticated French experience, Restaurant Tristan in the centre of town serves up exquisite modern cooking at a very reasonable price. If you are looking for something a little less traditional, and a lot more spicy, Lemongrass, just around the corner, has some of the best Thai food you'll likely taste. After you've awoken your taste buds with some green curry, cool down with a nice glass of chardonnay at The Black Jug on North Street. The pub's historic courtyard is the perfect place to round off the evening.